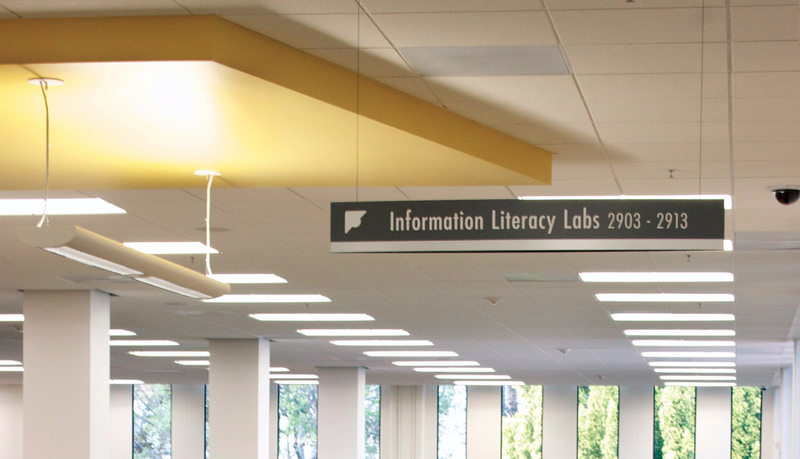 Cal Poly Pomona University Library, a historic facility located next to the San Gabriel Mountains, is one of the premier libraries in Southern California. 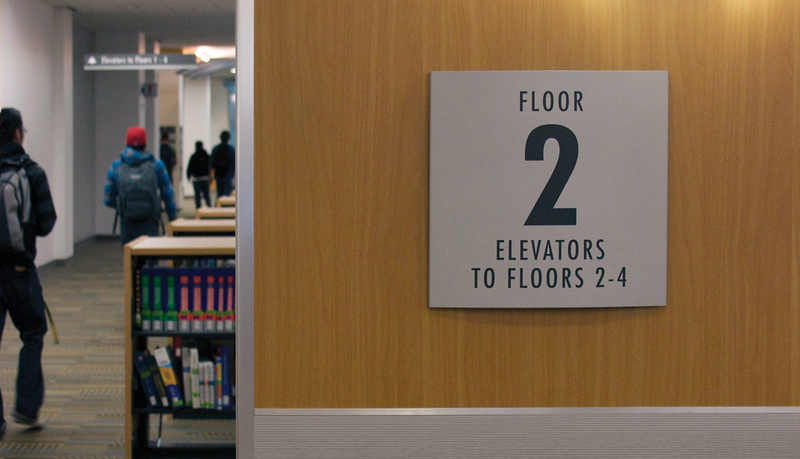 Recently, the library added a new four-story addition and renovated the first three floors of the existing building to transform this library into a state-of-the-art learning facility. 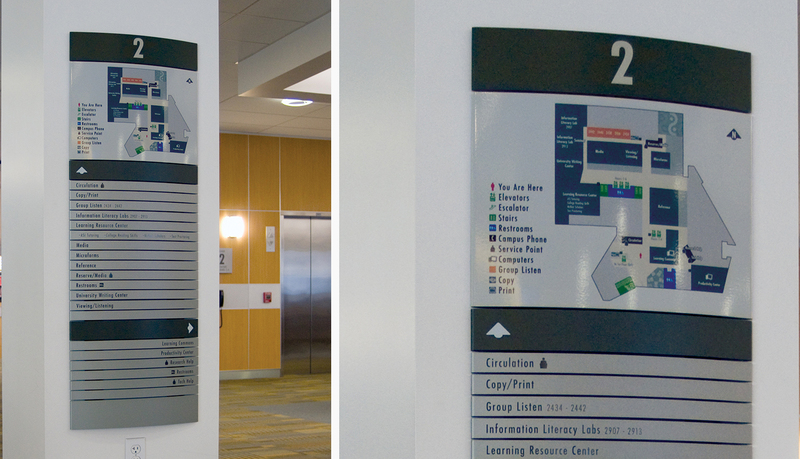 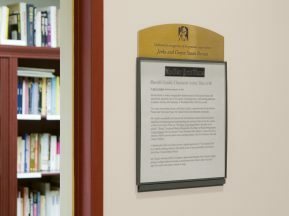 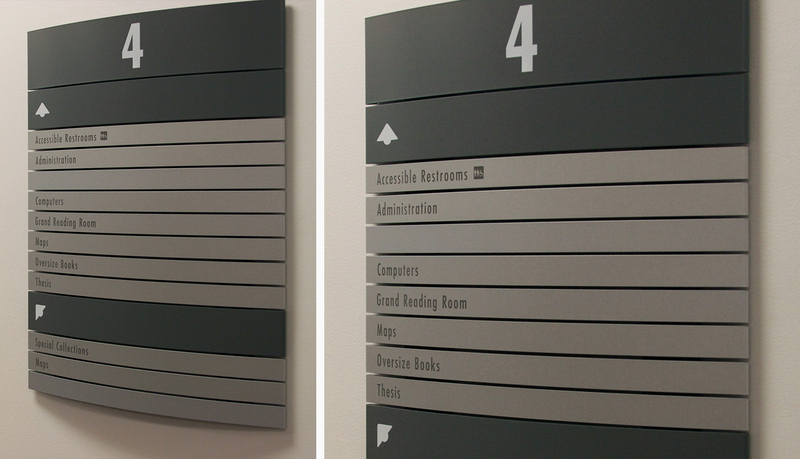 With these changes, the university needed a well-designed signage program that would effectively guide visitors and enable future growth of the facility. 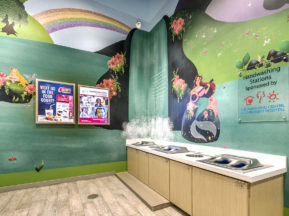 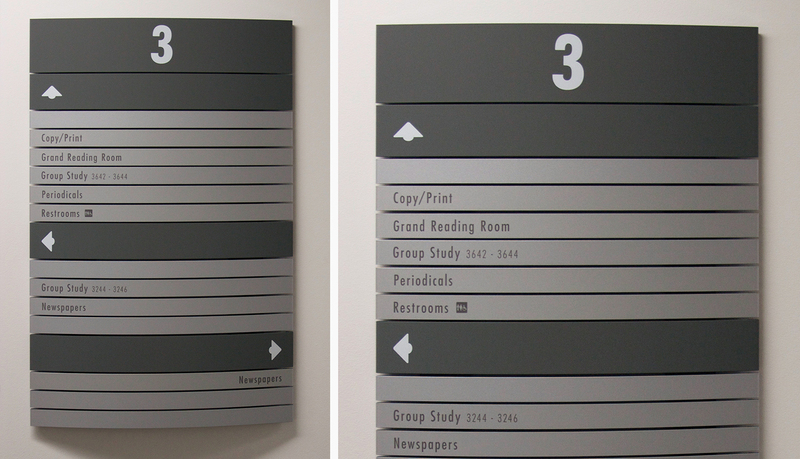 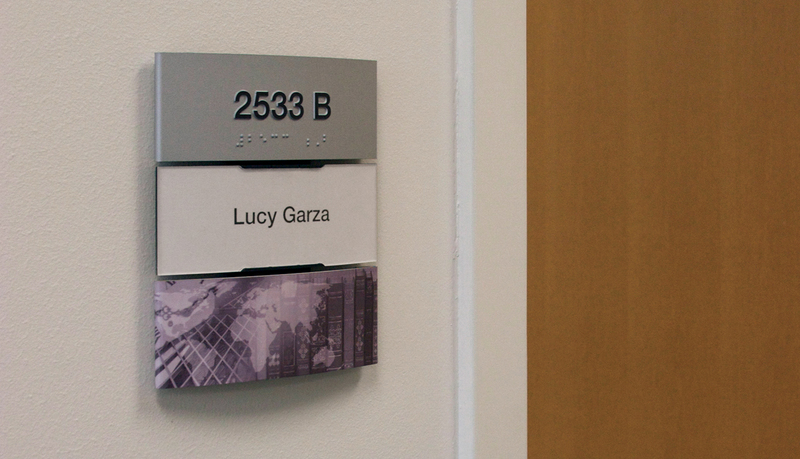 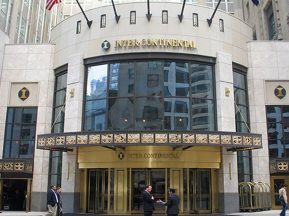 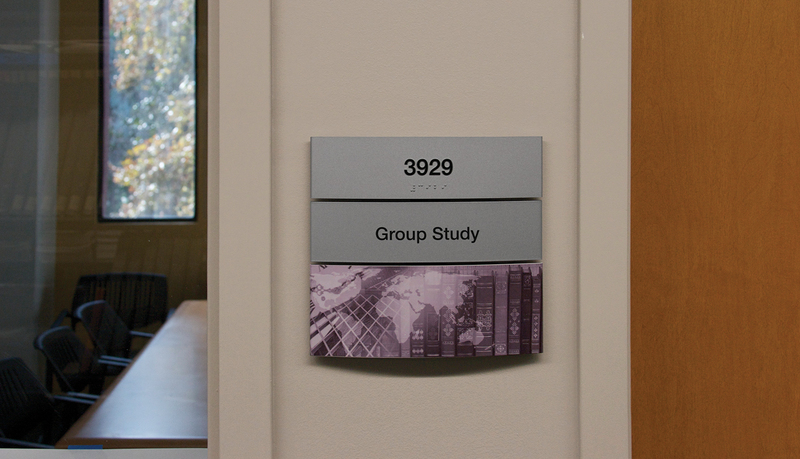 ASI worked closely with the interior design team from Neiman Studio to develop a clean signage program in a subtle but distinctive color scheme that is easy to read and follow while blending well with the décor of the environment. 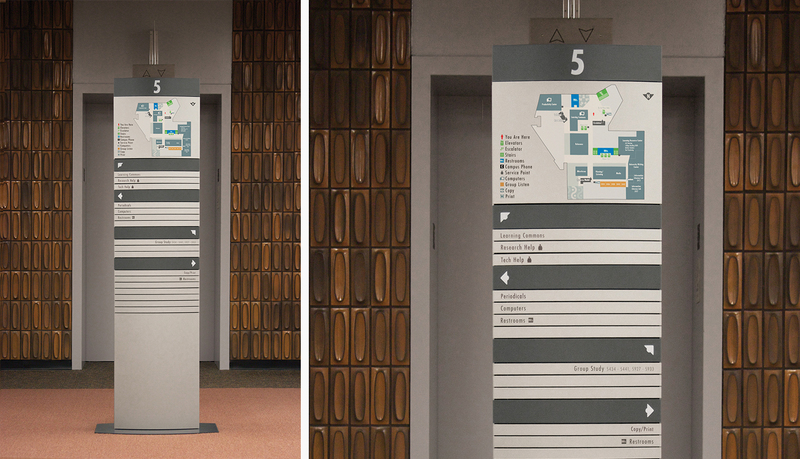 ASI also provided wayfinding services to ensure ease of navigation for visitors. 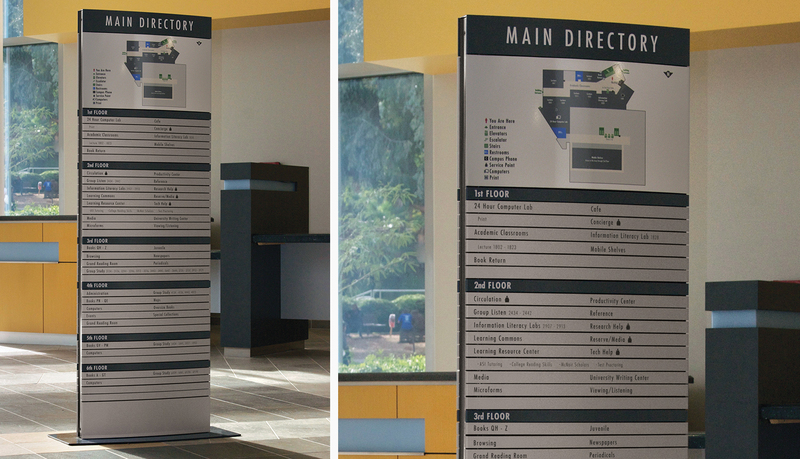 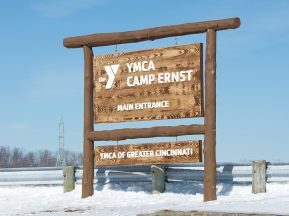 The Pacific Interior™ modular signage system offered the ideal, flexible solution for overhead, wall-mounted and freestanding monolith directional signs at crucial decision points. 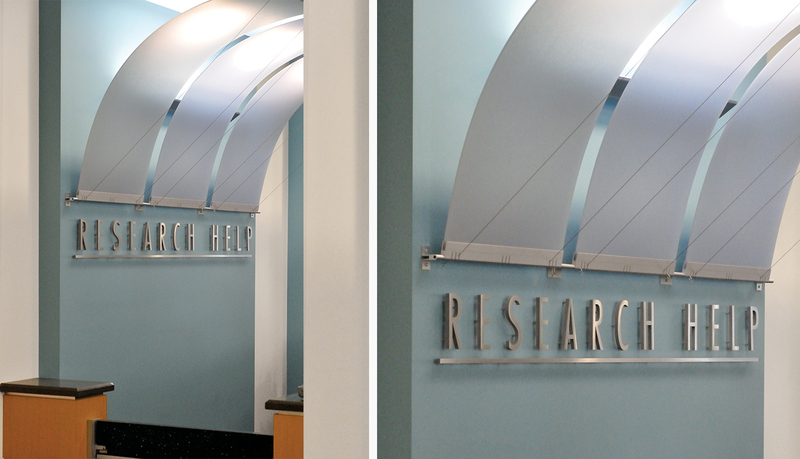 And, Pacific Interior is easily updated via removable/replaceable panels, allowing for expansion.